Home F1 "Hamilton is the best driver in history with Schumacher"
"Hamilton is the best driver in history with Schumacher"
Toto Wolff, head of Mercedes, praises the five-time champion: "We will only realize when we retire, we tend not to recognize when someone is active." Toto Wolff leads the team that has dominated F1 for five years and the Austrian leader knows that he must take care of his assets. And the biggest one without doubt is Lewis Hamilton. The five-time world champion controls the championship with an iron hand and Wolff is delighted to have him in his ranks. 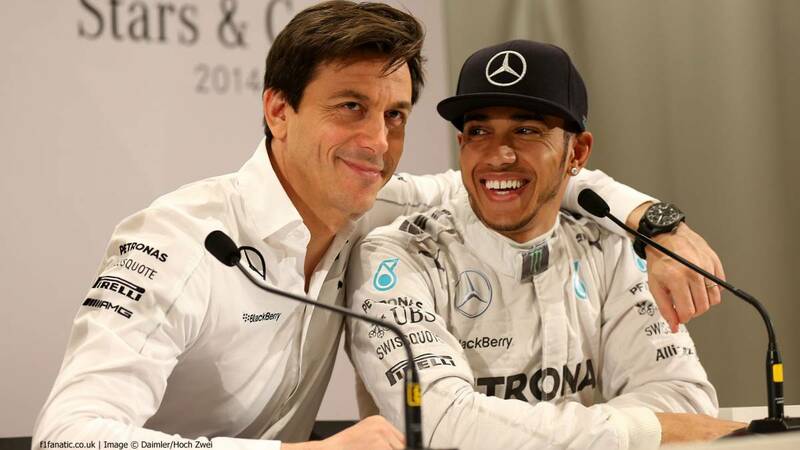 "Lewis the best driver we've seen in history with Schumacher", has said to 'thenational.ae.com'. And it continued: "We tend to never recognize the merits when someone is active, only when someone retires or dies. We never say: 'This guy is really amazing, we are alive to witness his exceptional performances'. the case of Hamilton seems that we will only realize when he retires. " Wolff's praises that also concern the personl:" How he has developed as a human is exceptional. He has become a solid pillar of the team's victories. The pilots complain more than praise a team and he praises us. We have an environment of great sincerity with each other, so if something goes wrong we meet and say, 'That, that and that was wrong.' to perform better and he has the perfect attitude ". Halagos that also come from his boxing partner in Mercedes, the Finnish Bottas:" Lewis is a great driver, he is one of the best, if not the best. In addition, at the same time he is a good guy. He is very talented, hard working and has a lot of experience, so it will be extremely difficult to beat. He is human and there is no pilot that is unbeatable, but that is how he should think ".